Home History What Happened Off The Coast Of Kingston To The Prinzessin Victoria Luise? On a dark night during the winter of 1906, a lone ship sailed ahead, marking the beginning of a promising voyage that would later end in misfortune. 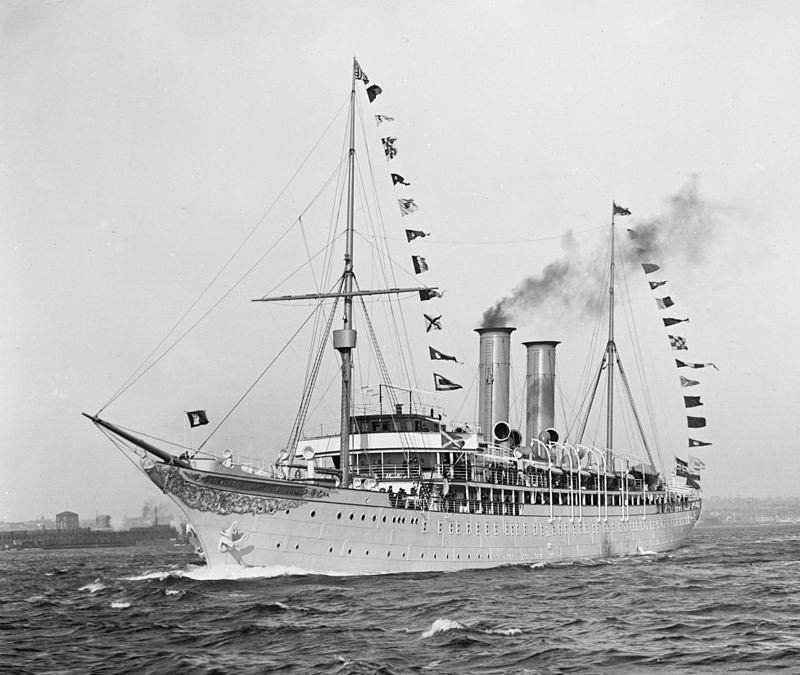 Such is the case of most naval tragedies, the most widely referenced of these being the sinking of the Titanic; however, there is one voyage marred by tragedy involving Jamaica is often overlooked: the loss of the Prinzessin Victoria Luise. In the late 1800s, transatlantic travel by ship was growing increasingly popular, however, these journeys were not usually for pleasure. This began to change with the construction of the Prinzessin Victoria Luise – named in honor of Princess Victoria Luise Adelheid Mathilde Charlotte, the daughter of then German Emperor, Kaiser Wilhelm II – at the turn of the century. Often regarded as the world’s first pleasure cruise ship, the Prinzessin Victoria Luise, according to cruise1st.co, boasted “120 luxuriously appointed cabins, all offering first-class accommodation and exceptional service”. Albert Ballin (Managing Director) commissioned the ship as a part of the Hamburg-America Line: a transatlantic steamship line established in Germany in 1847 and began voyaging in 1901. Unfortunately, in 1906 the ship’s career came to an abrupt end off the coast of Kingston, Jamaica. On December 12, 1906, the Prinzessin Victoria Luise left New York, USA, en route to Kingston, Jamaica, a promising voyage which would later end in disaster. On the night of December 16, 1906, Captain H. Brunswig incorrectly identified the Plumb Point Lighthouse, which was located near the Palisadoes, to be the lighthouse at the western point of Port Royal. With no one on land to guide the ship, Captain Brunswig entered the harbour without aid, the Prinzessin Victoria Luise then crashed into a large rock on the coast which brought the steam liner’s short career to an end. The ship ran aground, dislodging her engines and shattering her frame plates. There were no casualties and all passengers were safely evacuated to land, another vessel from the line was sent to retrieve the passengers. Distraught by the damages done to his ship and the lives he put at risk, Captain Brunswig retired to his quarters where he took his own life. Written by Morgan-Leigh Miller, student of Campion College. Edited by Kaeonna Walters. This post appears courtesy of the Do Good Jamaica Professional Pathways high school internship program.